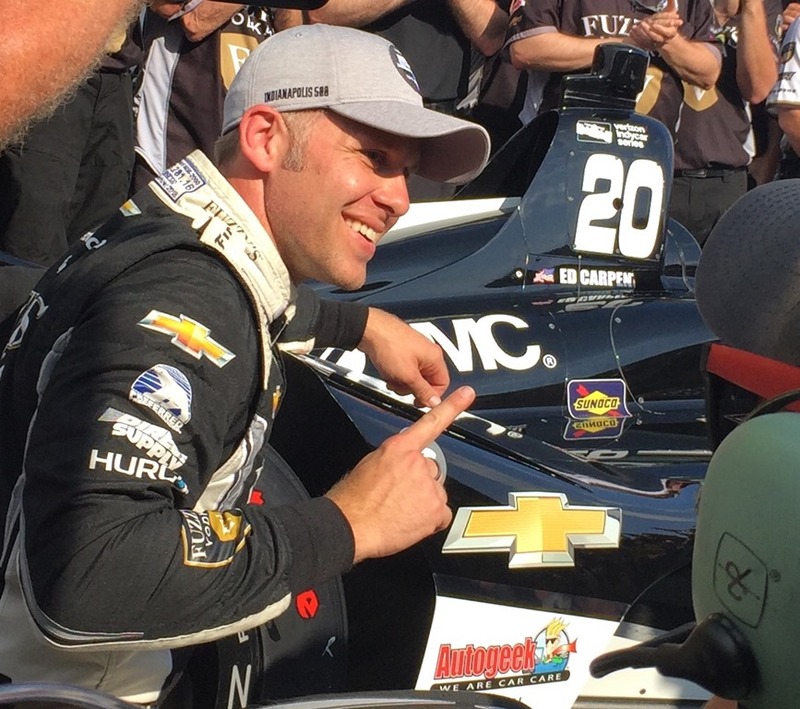 The field for the 102nd Indianapolis 500 is now set…maybe. 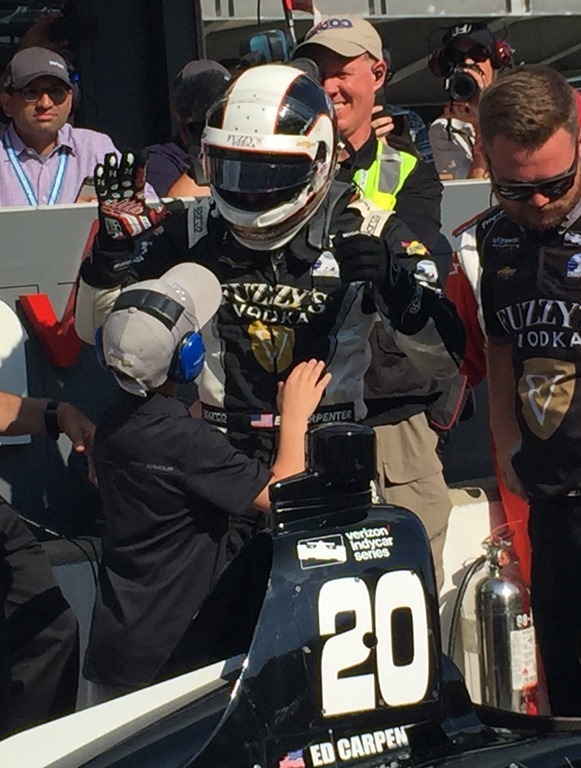 The question of whether James Hinchcliffe will be able to buy his way in is still to be settled, but it is looking more and more like he may be a spectator next Sunday. So assuming Hinchcliffe will not be in, the field is set. 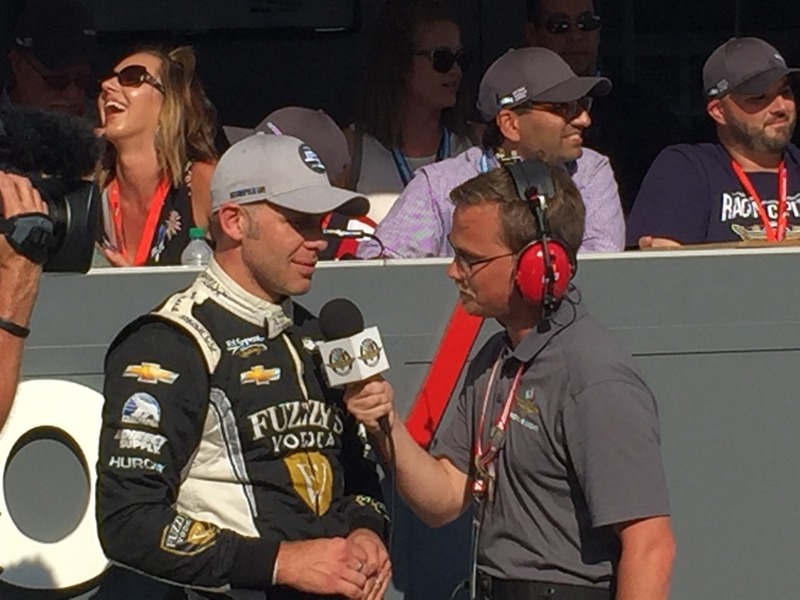 Ed Carpenter won his third pole of his career. 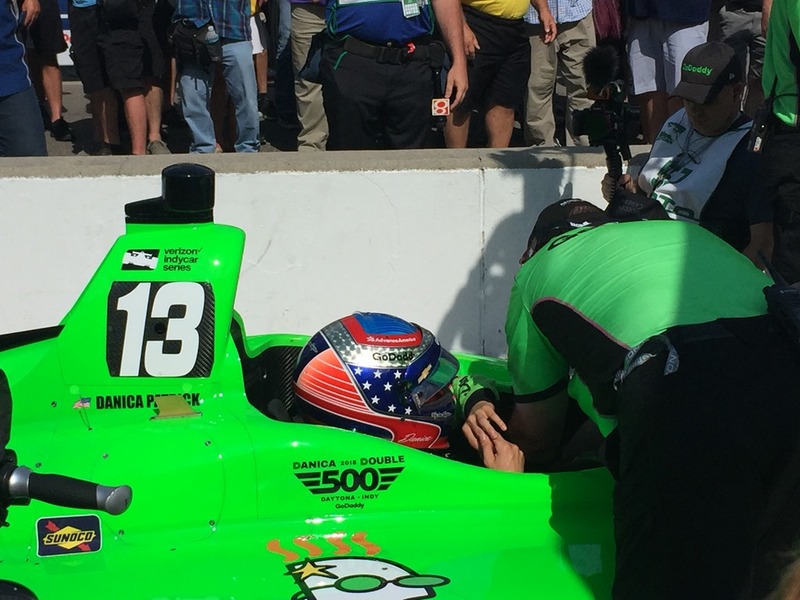 His first lap was the only lap of the day that was over 230 mph. He finished his run with a four-lap average of 229.618. 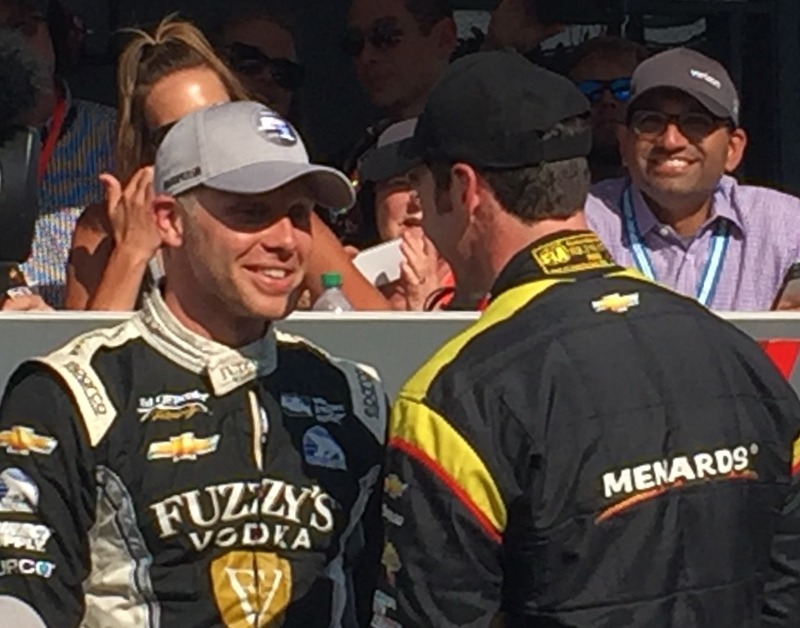 While he wanted to celebrate, Helio Castroneves was still waiting in the wings. Everyone was expecting Helio to deliver the goods, but he laid an egg. 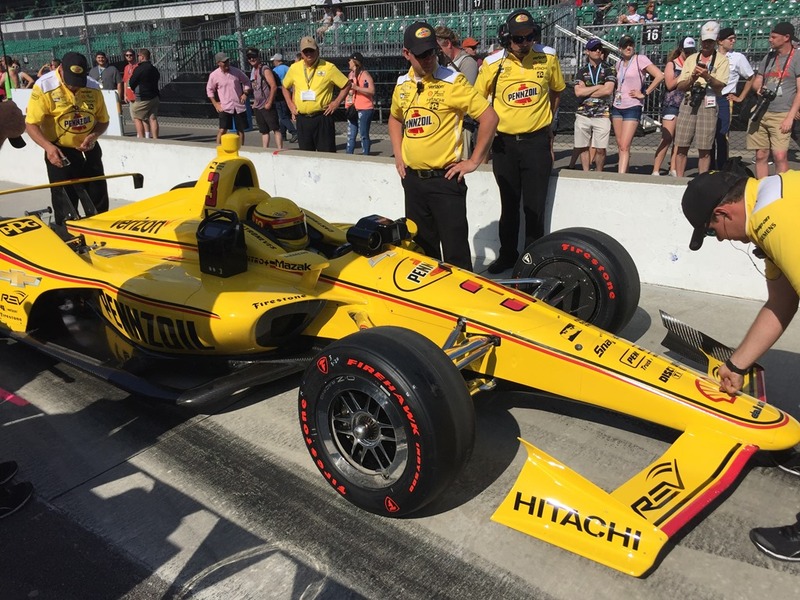 Helio had a disappointing four-lap average of only 227.859, good for only eighth in the Fast Nine. Only Scott Dixon was slower. 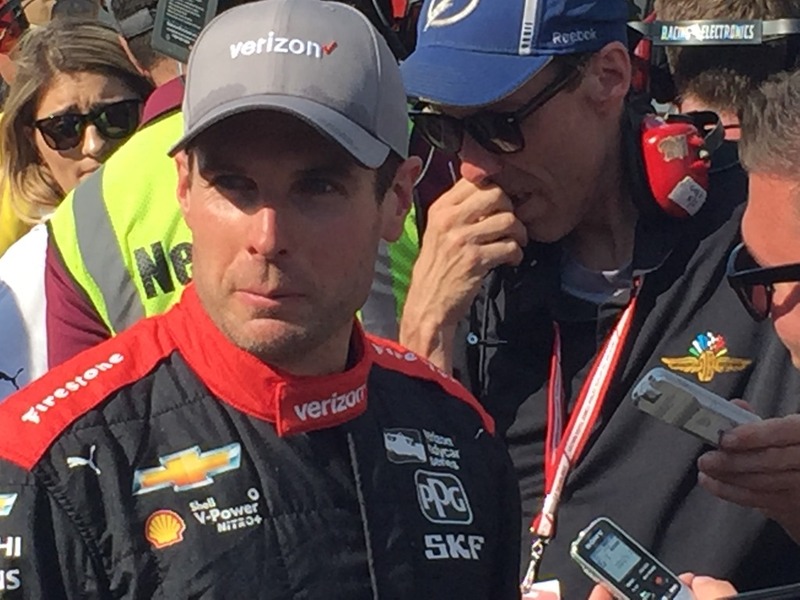 Simon Pagenaud excited the crowd when his first lap went over 229 mph, and he bumped teammate Will Power off of the provisional pole. Before Carpenter went out, it looked like it might be an all-Penske front row for the first time since 1988. 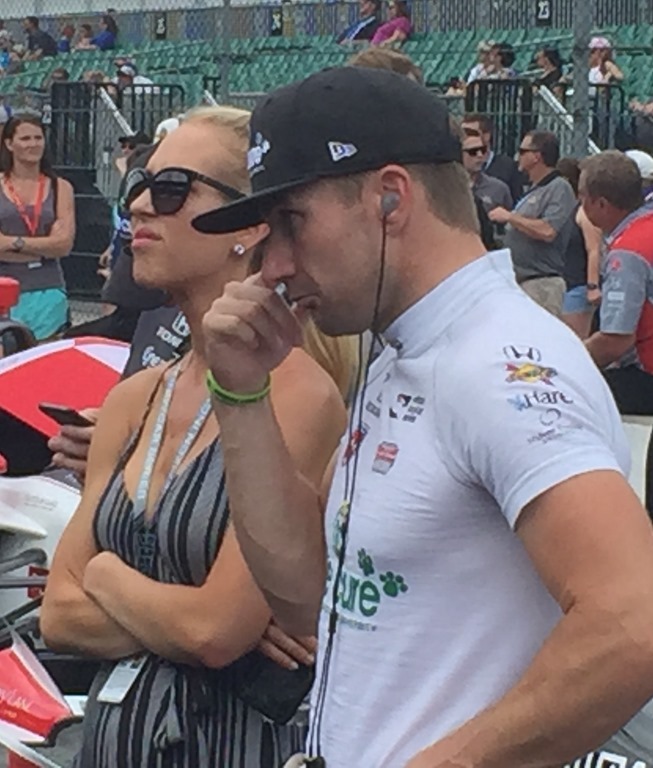 The Captain will have to settle for positions two through four, with Pagenaud, Power and Josef Newgarden respectively. Sébastien Bourdais will start from the middle of the second row, looking for redemption from this track after his horrifying crash last year. 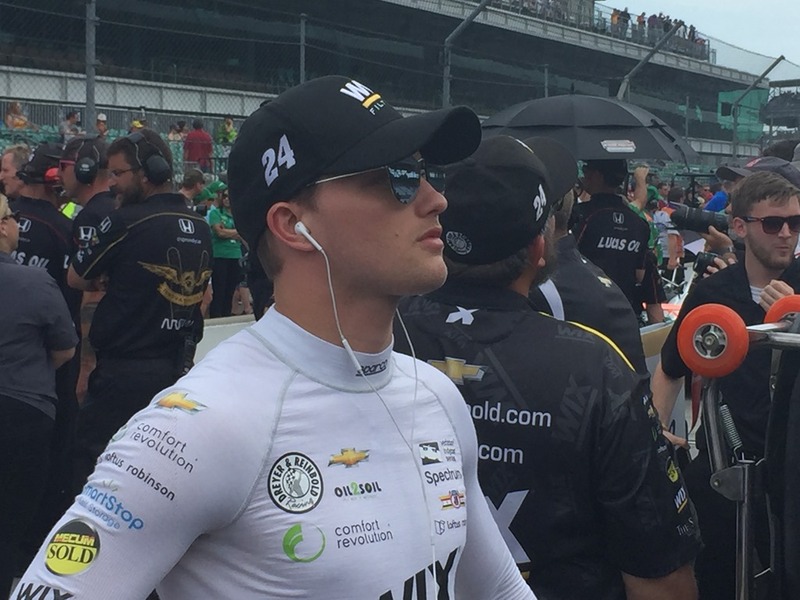 Spencer Pigot will start from the outside of the second row in only his third start. 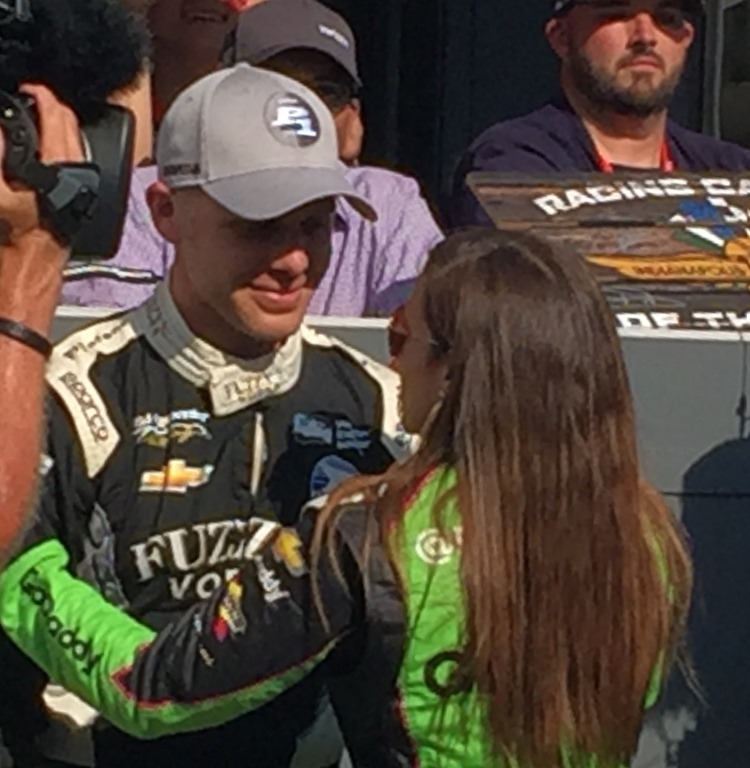 Row Three will consist of Danica Patrick, Castroneves and Dixon. 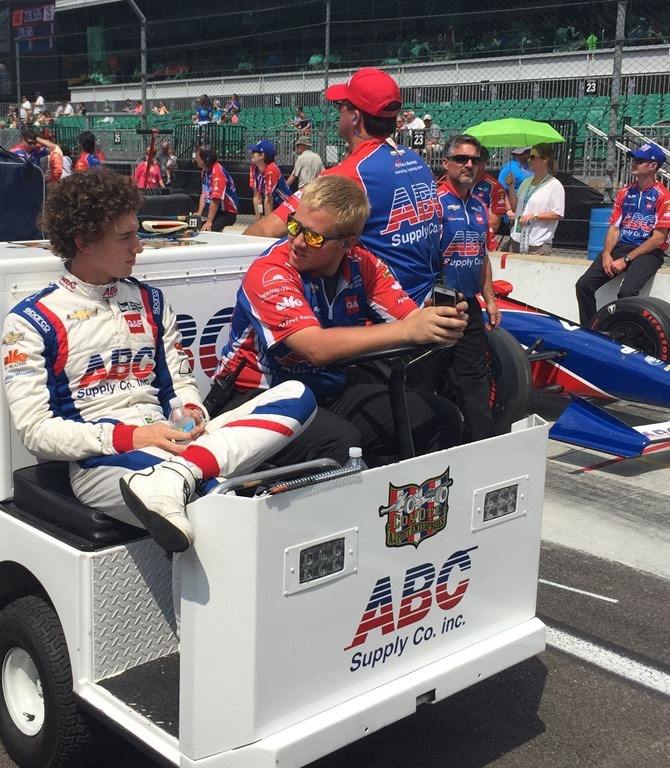 For those not in the Fast Nine, AJ Foyt Enterprises raised eyebrows. For the first time in years, they are going to be a significant factor on Race Day. Tony Kanaan was the fastest of the non-Fast Nine cars and was faster than Scott Dixon, who was in the Fast Nine. 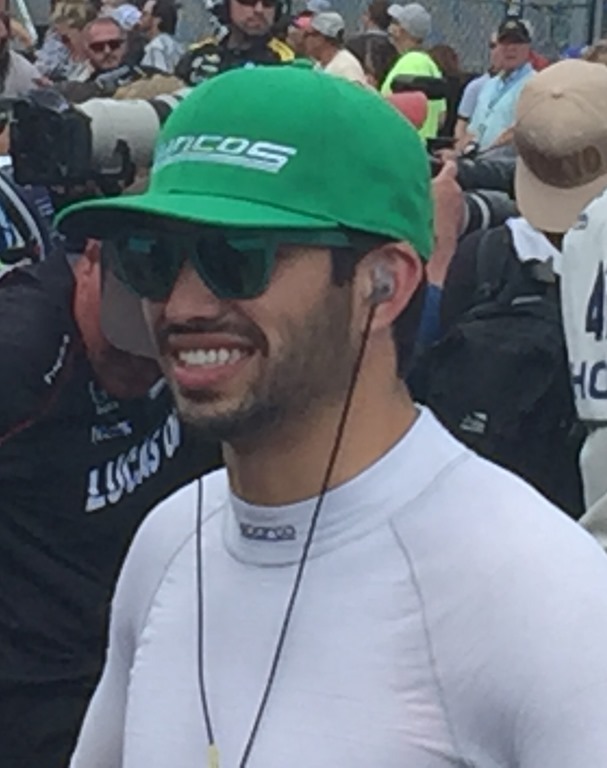 His teammate, rookie Matheus Leist, had an impressive run and will start alongside of Kanaan in the fourth row. Marco Andretti will start on the outside of Row Four. Among the biggest surprises of the day was who was not fast. 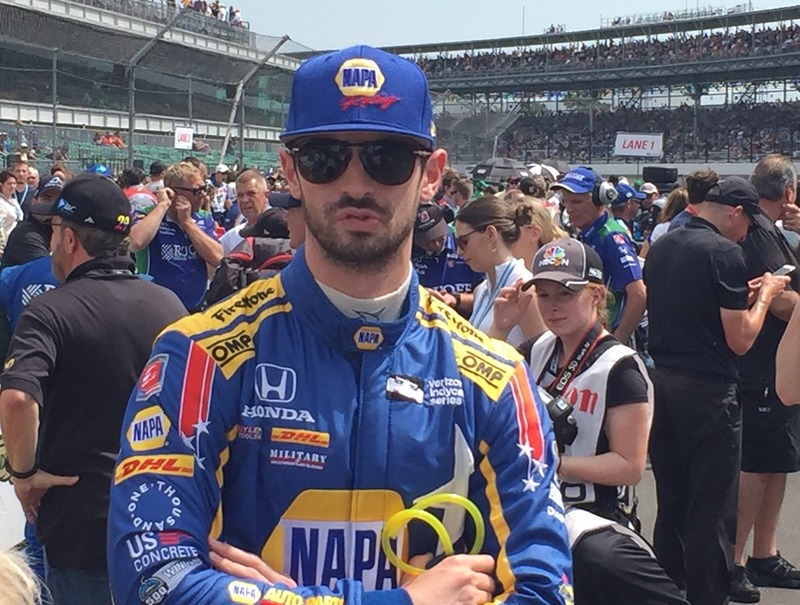 Alexander Rossi was tenth quickest yesterday, but came back today and had a disastrous third lap that dropped his four-lap average to 224.935 and put him on the middle of the last row. 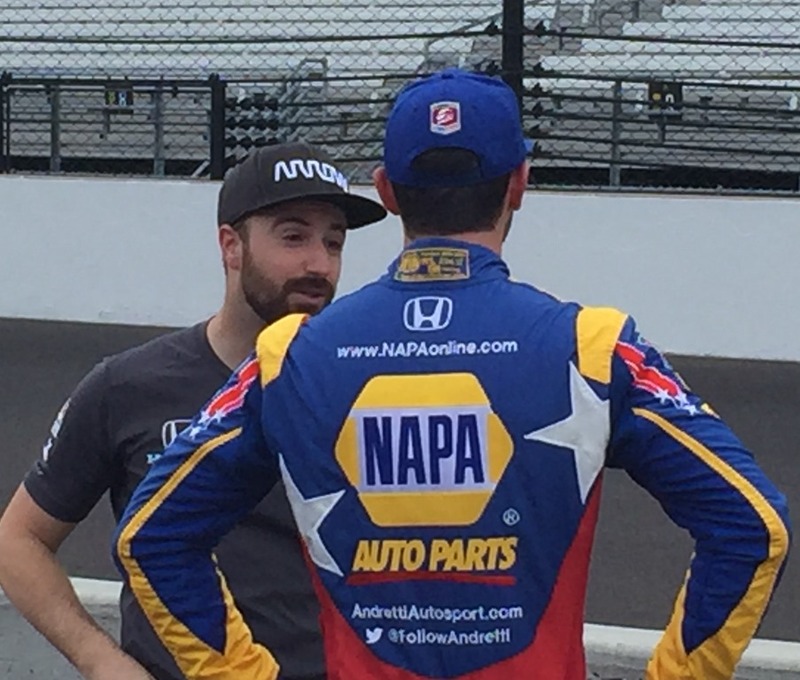 Ironically, Rossi will start alongside his Amazing Race teammate Conor Daly, who will start last. Altogether, I’m still not a fan of this current qualifying format. It just seems backwards to me to bump of Saturday and go for the pole on Sunday. Now that we’ve seen it in action with actual bumping, I still think it needs to go back to a more traditional format. This will wrap it up for today. We are going to hit the road shortly to go back home to the real world for a few days, then we’ll be back up here on Friday for Carb Day and the rest of Race Weekend. I will have my “Random Thoughts” article up here tomorrow morning. Also, don’t forget – answers to the Trivia Contest are due on Tuesday at 6:00 pm EDT. Thanks for following along this weekend. I’ll close with some more random photos that Susan and I took from Sunday’s day at the track. 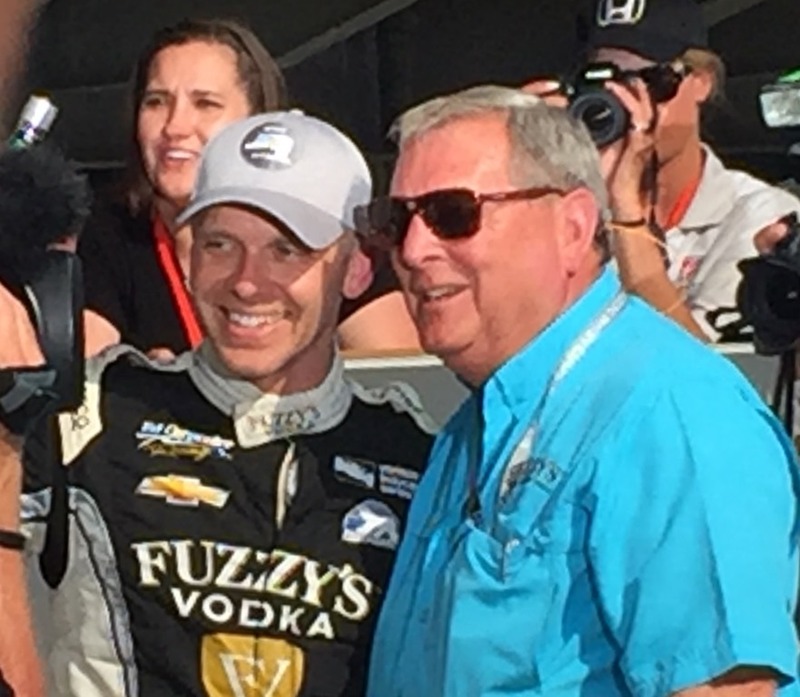 Most are from the qualifying line, including one where Jay Howard may or may not be picking his nose; as well as many celebrating Ed Carpenter’s pole win. Keep coming back all week. It’s now Race Week! 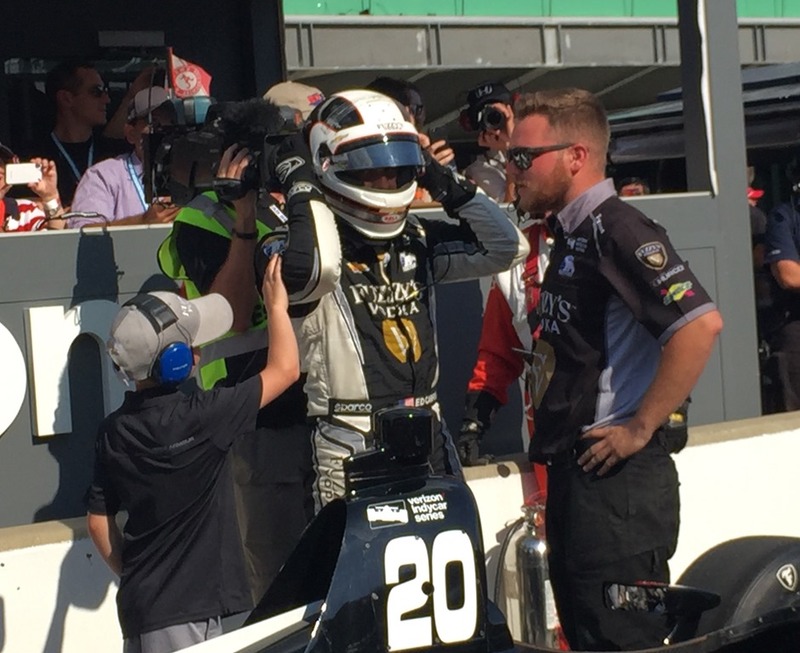 This entry was posted on May 20, 2018 at 6:19 pm and is filed under Indianapolis 500. You can follow any responses to this entry through the RSS 2.0 feed. You can leave a response, or trackback from your own site.